Grief does not wait for death to happen; it occurs both in anticipation of and following a loss. Extended illness, disability, severe accidental injury, a terminal diagnosis or the aging and decline of an elderly family member can produce what is known as anticipatory grief and mourning. We find ourselves reacting and continually adapting not only to an expected loss, but to all the losses – past, present, and future – that are encountered in that experience. Anticipatory mourning begins as soon as we become aware that death may happen. It begins when a life-threatening illness is diagnosed or a terminal prognosis is given, we understand that there is no cure, and we realize that death is likely or inevitable. 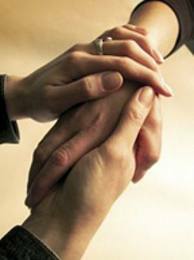 Issues of grief and loss are inherent in the care-giving process, and grief is experienced by everyone involved – whether we are the patient grappling with the illness or disability, or the family member, partner, close friend or care giver who is intimately connected with and looking after our loved one. We are coping not only with our own feelings of grief and loss, but also with physical and mental fatigue, and we may feel overwhelmed with all the financial, legal, medical and personal responsibilities associated with care-giving. In some ways, anticipatory mourning can be harder than the grief we experience after the death, because when we are waiting for the death to happen, we are on constant alert, living in a state of emergency over an extended period of time. On the other hand, this period offers the benefit of preparation time, as we and those close to us begin to think about our life without the one who is dying, and how we and our loved one can use the time remaining to reflect, to prepare for the future, and to finish unfinished business. •Recognize that, in the beginning, it is normal to feel shocked, dismayed, helpless and numb, especially if the onset of the illness is sudden or unexpected. You need time to take in this most unwelcome news, at a pace that is tolerable for you. •If you have the time and the skills, use the Internet to research the latest developments concerning the illness. List medical specialists conducting studies or research on the disease or condition. Locate local support groups related to the illness. •Investigate and reach out for available help and community support. Assemble a team of family, friends, clergy, neighbors, colleagues, health professionals, home health care and housekeeping services, church and other volunteer organizations. Explore care-giving resources on the Web, such as those listed here: Caregiving in Serious Illness: Suggested Resources. •Have emergency phone numbers and important resources readily available (legal, insurance, medical, financial, home repair). •Identify what needs to be done, and find help to do it (errands, grocery shopping, household repairs and maintenance, transportation, housecleaning, prescription pick-ups). •Follow the lead of the person who is dying, as a unique individual experiencing illness in a personal way, and choosing whether to openly discuss the illness and impending death. •Encourage – but do not force – open, honest communication among care givers, family members, friends, and the one who is dying. Recognize and respect the fact that some individuals may not be able or willing to talk about the reality of the illness and its probable course, either at the present time or with certain other persons or family members. Know that it is natural to take in the reality of a terminal diagnosis gradually, as facing it all at once is overwhelming. Listen without judging, giving others permission to express their thoughts and feelings about the illness without fear of criticism. Let others know how you are feeling and what you need. •Remember that this time for warmth, sharing and togetherness will not come again. Although communication may be frustrating and painful, now is the time to contemplate and clear up unresolved issues – to say, do and share what is especially intimate and meaningful, in a positive, affirming and encouraging manner. •Allow for the expression of difficult feelings by using alternative communication tools, such as letters, video- or audiotapes. •Anticipate the family’s new reality after the death, and do what you can to help the dying person complete end-of-life tasks (last will and testament, distribution of possessions, funeral preparation, gathering and safeguarding important documents such as medical, legal, and family papers). •Expect changes in the ways family members interact with one another. As the illness progresses, roles will shift. Responsibilities formerly held by the dying person will be reassigned, and everyone must adjust to those changes. Maintaining some of the normal family routines will help to provide security in the midst of all the chaos. •Let some details slide. Slow down, and focus on what is most important. Remember that the emotions that seem to have taken over your life right now will not last forever, and the rest of your life will not seem so sad and overwhelming. •Practice good self-care. Pay attention to your family’s needs for adequate rest, nutrition, exercise, recreation, respite, and fun. In your efforts to remain strong and care for the dying person, don’t let your own physical, emotional and spiritual needs, or the needs of other family members (especially children), get lost or neglected. Keep a journal or a diary; seek individual counseling; find and participate in an in-person or online support group for care givers. •Embrace and express your spiritual beliefs, if faith is important to you and your family. Turn to those spiritual practices that bring comfort, peace, and hope: prayer, meditation, listening to your inner voice, reading, attending religious services. Recognize that, under these circumstances, it is not at all unusual to feel angry at the doctors, at the one who is dying, or at God for the injustice of it all. If there are some things you prefer to discuss with someone outside the family, talk with a pastoral counselor or spiritual advisor. Find someone you trust who will not judge you, and who will listen to whatever thoughts and feelings you may need to explore. What if the one who is dying is a child? •Give yourself time to confront the harsh reality that, as unfair and unnatural as it seems, the child is terminally ill and will not recover. Parents do not expect to outlive their children – it goes against the natural order of things. It is extremely difficult to process and accept the fact that a beloved, innocent child is dying. •Follow the child’s lead. Listen first, and do what you can to support and encourage open and honest communication with the child and among family members. Answer only what is asked, but be meticulously honest, using language at the child’s level of development and understanding. Lying to children in an effort to protect them from the truth of their condition is neither respectful nor loving, and can lead to confusion, frustration, mistrust and anger. •Pay attention to questions, statements or behaviors that may suggest a child’s trying indirectly to communicate other needs, questions or concerns. •Help the dying child live, laugh and play as happily and as normally as possible. Spend as much time together as you can. Help to maintain relationships and contact with peers through play dates, visits, phone calls, letters, cards and e-mail. •Remember the needs of the dying child’s siblings. •Do what you can to support and nurture other family members and close friends. •Find and utilize all available sources of support (Make-a-Wish Foundation, Candlelighters Childhood Cancer Foundation, and others). Mother's Terminal Diagnosis Teaching Daughter to "Live While Dying"
Excellent advice, I wish I had found this site 2 years ago. Two years ago however I was dealing with the initial shock of hearing my brother had 3 months to live without treatment of his brain tumor. He was 43 at the time. Duke U said it was inoperable. MD Anderson removed 90% of it in a 13 hour operation. He went through radiation and chemo, Temodar for 19 months. He made progress for a good year, learning to walk again with his diminished left side. He's had setback after setback over the last few months with re-growth on the MRI's. Tried xeloda for 14 days and he keeps getting worse. A couple of trips to the hospital for a few days. His oncologist is moving on to DCA. He looks at me and says he's dying. Anticipatory grief makes me feel like I'm quitting on him even though I have all the symptoms. Dear John, I'm so sorry to learn this horrible news about your brother, and my heart goes out to you. Try to remember that whatever you're feeling is not at all the same as how you are acting toward your brother. It sounds as if you've been there for your brother the entire time, and that is not in any way "quitting on him." Acknowledging to yourself (and to trusted others) what you are feeling is like taking the lid off a pressure cooker before it explodes. Would you consider joining our online Grief Healing Discussion Groups? We have a forum for Anticipatory Grief, at http://www.hovforum.ipbhost.com/index.php?showforum=24 and you are most welcome to join us. I think you may find some comfort there. Meanwhile, please know that I am holding you and your brother gently in my heart. Interview, Are We Medicating Normal Grief?